In statistics, the standard deviation is a measure that is used to quantify the amount of variation or dispersion of a set of data values. A low standard deviation indicates that the data points tend to be close to the mean (also called the expected value) of the set, while a high standard deviation indicates that the data points are spread out over a wider range of values. 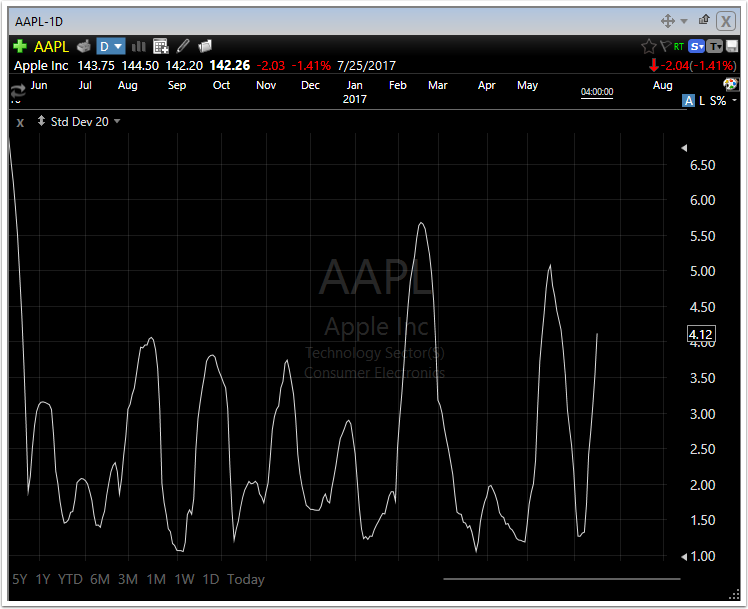 Standard deviation is used in calculating other technical indicators such as Bollinger Bands. w can be any formula which returns a numeric value. x , y, and z must be integer numbers and cannot be formulas. 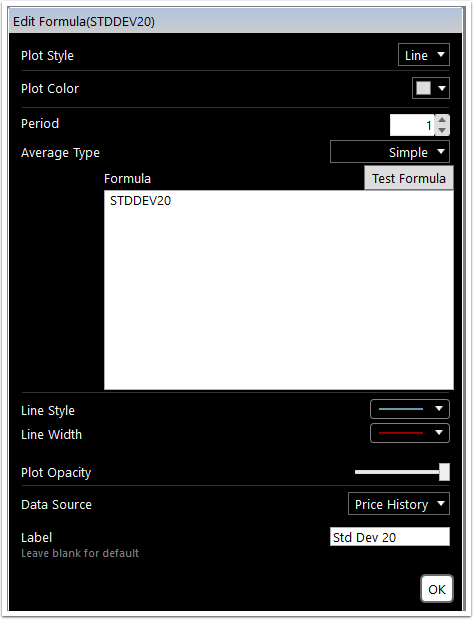 The 20 period standard deviation of price can be written as follows. The 30 period standard deviation of price from 10 bars ago can be written as follows. The 10 period standard deviation of the 15 period simple moving average can be written as follows.